I have run across a couple helpful tools you can use as you are looking for photos you can legally use. 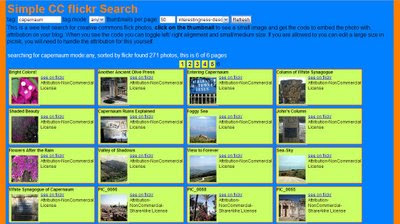 The first is a Flickr CC Search Toy pictured above. The CC is for Creative Commons which is a great way to define rights for sharing and using a picture (or any other work). 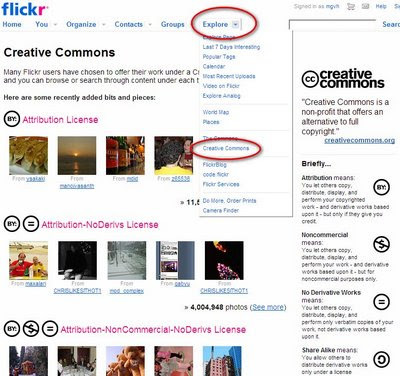 Just because a picture is on Flickr, it doesn't mean you can legally use it. (By default, when you upload a picture to Flickr, all rights are reserved. I.e., no one can use it.) E.g., a search for "Capernaum" returns over 4100 results. Using this Flickr CC Search Toy, I only get 271 results, but I can see quickly and clearly what rights I have for using them. When you enter your search term, it returns thumbnail results. Click on the thumbnail to see a small image and get the code to embed the photo with attribution on your blog. When you see the code you can toggle left/ right alignment and small/medium size. If you are allowed to you can edit a large size in picnik, you will need to handle the attribution for this yourself. 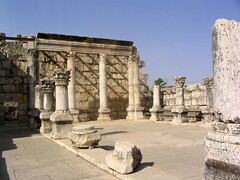 For my search for Capernaum, here is one of the results. Note that I was able simply to copy and paste the code provided. 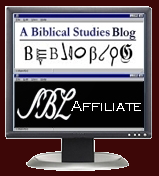 The other tool is called Behold, and it holds promise but is limited for now. As you can see, it allows you to search Flickr and specify images that are free to use (and modify) (and use commercially). That is great, and even better, once you get your results, it uses a screening technology to help sort by content. I.e., it can discern whether the pictures features faces or buildings or landscapes... 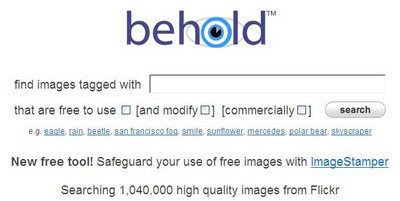 So all this is good, but the limit is that Behold has already filtered out any pictures it determines are not "high quality." Instead of searching through the bazillion pics on Flickr, it's only looking through a little more than one million. For Capernaum, no results are returned at all. Thanks to the comment by Stephen Barkley, I did a bit more checking. I don't have a CC search that appears by default in my Firefox search. (Maybe Stephen will say more...?) I did check on Flickr, and note on the graphic above, if you click on the Explore menu option, the dropdown allows you to choose Creative Commons that results in the page shown. From here, you can choose the "See more" option based on any of the CC licenses, and then search for the image you want. Works great. Good info. I've always used the CC search that comes installed by default in the search bar of Firefox.